As election season in the City of Chicago approaches, Active Trans is excited to invite our partners and supporters across the city to provide input on our 2019 transportation platform. Active Trans will host two meetings open to all to help build a collaborative and intersectional platform, which will be used to educate candidates and voters in the 2019 Chicago mayoral and city council elections. Join us on either August 8 in Logan Square or August 21 in Bronzeville for a Transportation Justice Dialogue to collectively develop our 2019 platform. Next year the city of Chicago will elect a mayor and city council. Will these elected officials be champions for transportation justice for all residents of Chicago? What does transportation justice in Chicago mean to you? If you are interested in exploring these questions alongside other advocates, then RSVP to one of our Walk & Roll the Vote: Transportation Justice Dialogues. 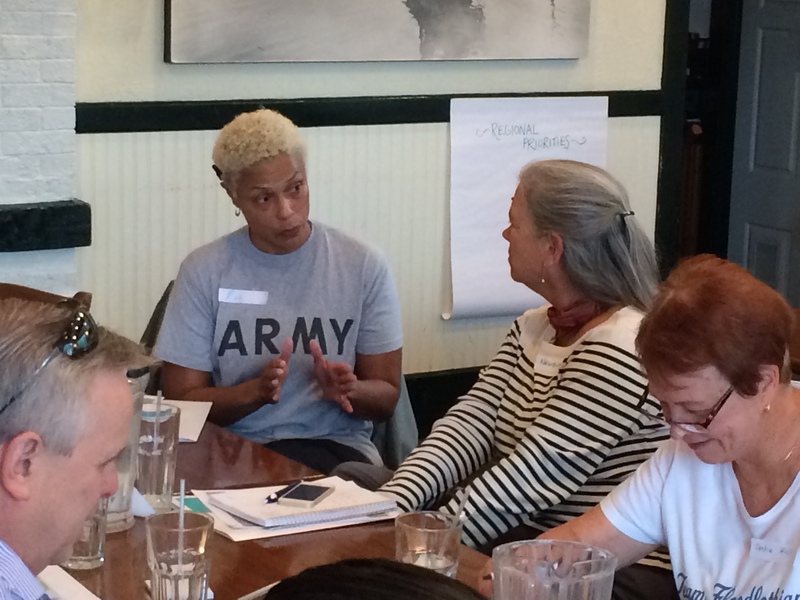 For the last three months Active Trans staff has been meeting one-on-one with community-based organizations throughout the city to gain a stronger understanding of neighborhood issues. Those meetings will continue through the end of 2018, so please contact robert@activetrans.org if you’d like to suggest that we meet with a group in your area. Wednesday, August 8: 6 p.m. – 8 p.m.
Tuesday, August 21: 6 p.m. – 8 p.m.
Snacks and beverages will be provided. Both locations are accessible, but the Chicago Urban League does not have accessible rest rooms. Please email julia@activetrans.org with any questions.